Everyday Heroes provides an opportunity for individuals to learn about our mission in an intimate setting during an hour long program. 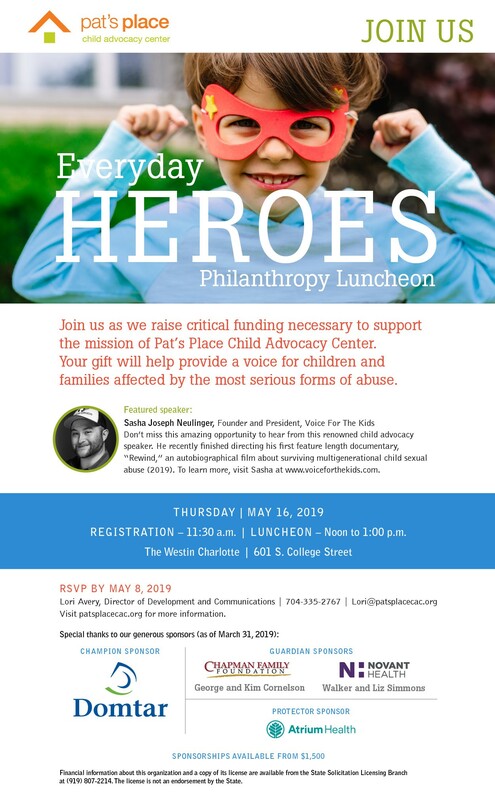 We hope you’ll join us as we raise critical dollars necessary to support children and their families affected by the most serious forms of abuse in Mecklenburg County. Sasha Neulinger is the founder and President of Voice For The Kids and the co-founder and Head of Production at Step 1 Films. 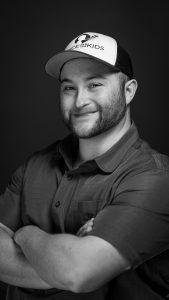 He has worked behind the scenes on National Geographic's award winning series, "America, The Wild" as an assistant editor and has produced, directed, and edited films for corporate and non-profit clients nationally. He recently finished directing his first feature length documentary, “Rewind," an autobiographical film about his life surviving multigenerational child sexual abuse (2019). Sasha also travels nationally as a public speaker, advocating for reforms in child advocacy and child abuse prevention. To learn more, visit Sasha at www.voiceforthekids.com. We are currently seeking table hosts and sponsorship support. To learn more, contact Lori Avery, Director of Development and Communications.